With support from The Rockefeller Foundation and World Bank, PPRC [Power & Participatory Research Center] organized an international conference on Public Health in Bangladesh. This conference focused on inclusive policies and sustainable solutions to address the challenges and issues regarding universal health coverage. Spanning from April 9th to April 11th at Hotel Radisson Blu Water Garden, the conference assembled and engaged a multi-sectoral coalition comprising of policy-makers, experts, professionals, NGOs, private sector, community leaders, and development partners. Earlier, abstracts relevant to UHC issues were requested from all actors in the field of healthcare to be presented at the conference. 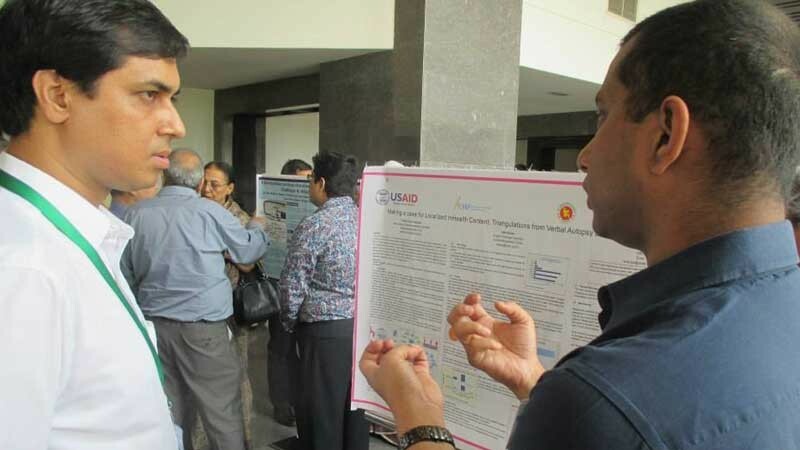 An abstract submitted by Atik Ahsan, Tahsin Ifnoor Sayeed & Kazi Farzana made it to the list of top 12 entries among 120 primary submissions for the poster session. The abstract was titled "Making A Case for Localized mHealth Content: Triangulations from Verbal Autopsy and Ethnographic Study" and attracted a lot of visitors for the uniqueness of its research method and the intervention discussed.